The FRVTA values and appreciates your membership. We have created this section to make it simple for our members to get information easily and quickly. Here you will find links to membership benefits, monthly newsletters, advertising opportunities, the annual state convention and other FRVTA events. These benefits may be used by you and your employees. We encourage you to make them known to those you work with. From discounts on RV Shows to advertising opportunities and many more services and programs, we’re sure to give you the best value for your money. We are always looking for new perks to provide our members. If you have any suggestions, please contact our State Office. You join as a member of the Florida RV Trade Association but you participate in one of the 7 Geographical Regions in the State. This is determined by the location of your business. As a member of a Region, you are eligible to attend meetings held monthly by the Region which usually includes dinner. The primary purpose of these meetings is to carry out the business of the region. The Region along with assistance from the State Office plans all Region shows, draws for space and offers ideas for advertising. Businesses that have multiple locations can join in the region that they are located. This is your opportunity to share ideas, issues, concerns and solutions. One reason the Association was created many years ago was to help our members produce RV Shows that promote their products and services. Our main goal is to not only give our members a voice in planning the event but also to make sure the Shows are financially feasible for all involved. The FRVTA Regional Shows are planned in a central location for the Regional Members. All Regional members have the first opportunity to participate in the geographic Region in which their business is located. This allows them access to the Region shows prior to being offered to members out of the area and non-members. 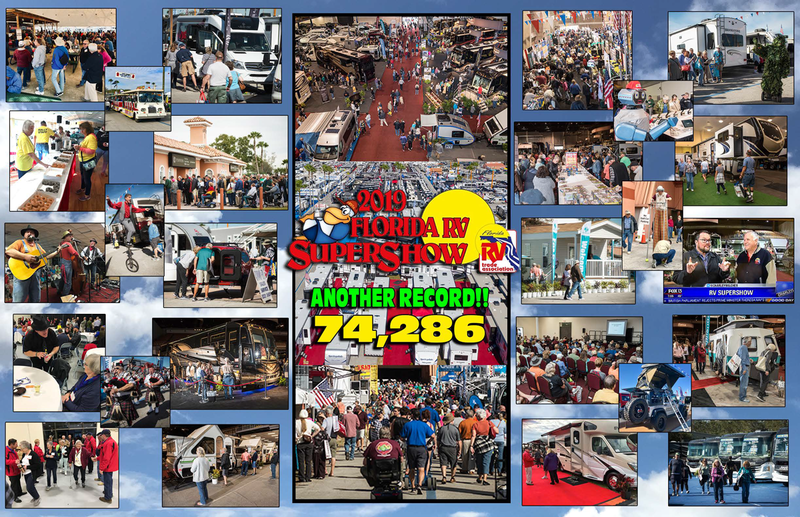 The Florida RV SuperShow is a show designed for our members who manufacture RV’s. They decide which of our state member dealers will display at this super event. As a member of FRVTA you are eligible to participate in all FRVTA sponsored shows as long as you qualify according to the Show Rules. Non-members are able to participate but at a significant increase in price. As an FRVTA member you and your business are eligible to advertise in all FRVTA publications and on the official website at the Membership Rate. The Association annually publishes the Official RVers Guide to Florida, a membership directory that offers numerous opportunities for members to advertise. The circulation is now upwards of 120,000 copies per year. 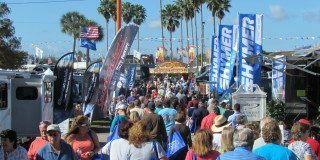 In conjunction with the annual Florida RV SuperShow, members are also offered the option of advertising in The SuperShow Directory, whether they participate in the show or not. More than 32,000 are published and is passed out to the attendees of the SuperShow each year.